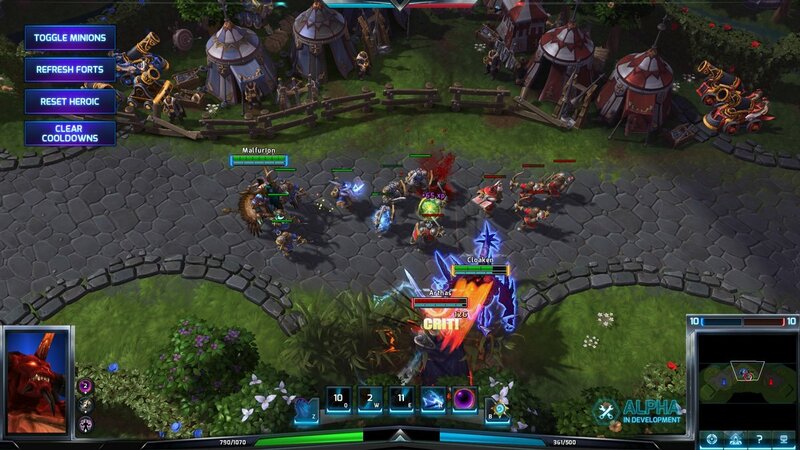 Blizzard has officially started the "technical alpha" test for Heroes of the Storm, their free-to-play MOBA. The first testers for the game have revealed some crucial details on the game's progression system and microtransactions. Most of the alpha testers are players in the United States. They're playing alongside friends and family members of Blizzard employees as a few international journalists and community contributors. The first invites were sent out earlier in the week. Additional keys will be sent out over time. "If you haven’t received an invitation to the Tech Alpha yet, make sure you’ve elected to participate in Heroes of the Storm testing by opting in on your Battle.net account’s Beta Profile Settings page," Blizzard says on the HoTS website. 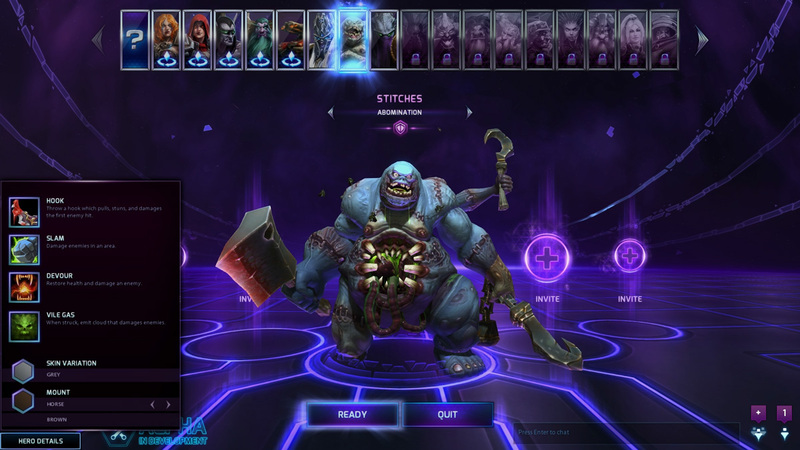 In Heroes of the Storm, the player chooses a character from the Diablo, WarCraft or StarCraft universes. For example, they can heal and protect allies as the paladin Uther Lightbringer or strike enemies from the shadows as the dark templar Zeratul. The player then participates in a 5v5 match in which each team tries to destroy the other's base. The alpha supports three modes: Practice (your allies and enemies are bots), Cooperative (friends are humans while enemies are bots) and Versus (all humans). A Ranked Mode will be added eventually. A rotating set of six heroes will be available to play for free. This set will change every Tuesday. You can unlock Heroes permanently by spending Gold or real-world money. 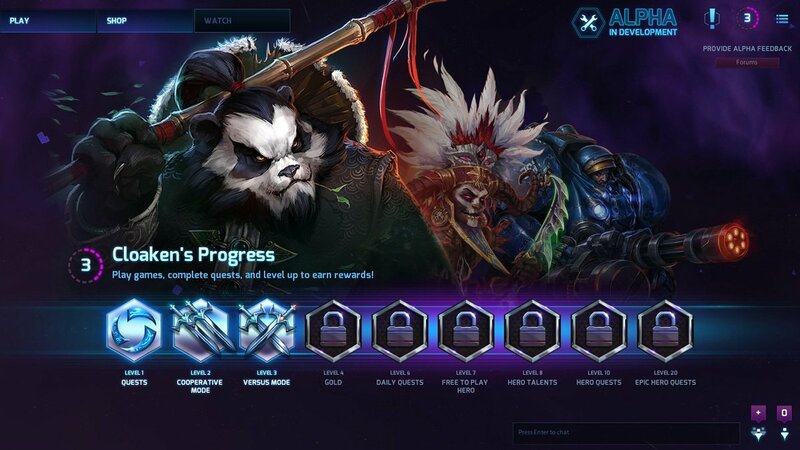 Gold can be earned from gameplay once your account hits level 5. Daily Quests are special objectives that you can complete for good starting at level 6. A single-player Try Me mode lets you test out a hero before making a purchase. 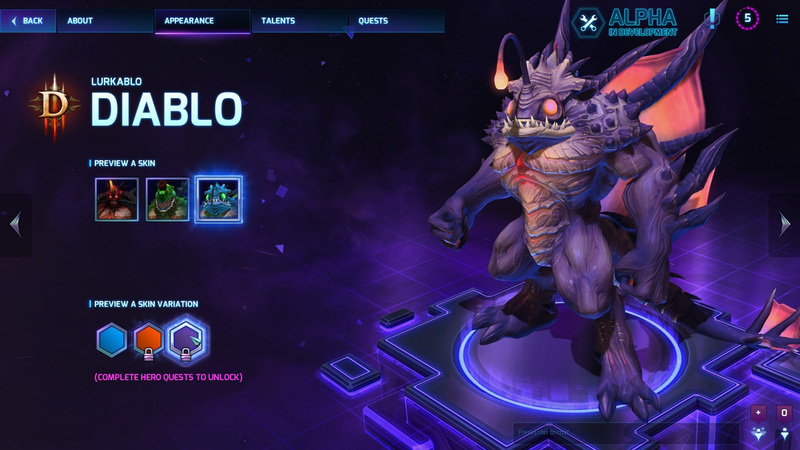 The other items you can purchase in the game with money are skins and mounts. Mounts are vehicles or creatures that players can ride to traverse the map quickly. Skins, meanwhile, are just special outfits for characters. Skins and mounts have alternate color schemes that can be unlocked through hero-specific quests. 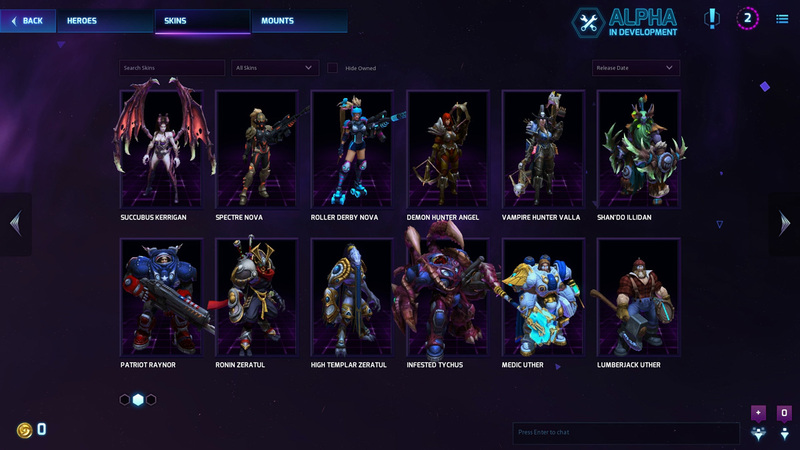 HeroesNexus received access to the alpha and was able to find out the prices for the in-game content. Heroes are split into three price tiers: 2,000 gold / $3.99, 5,500 gold / $7.49, and 10,000 gold / $9.99. Skins can be purchased for $7.49, $9.99, $12.49 or $14.99. Mounts, another cash-only option, cost between $9.99 and $19.99. They stress that these prices could change over the course of testing, though. They crunched the numbers and found out that it cost $477.97 to buy everything that currently has a price tag. Players are allowed to spend real-world money in the alpha test. However, they're capped at $325. Their accounts will be wiped at the end of the test, with the purchases refunded as Battle.net account credit. Players who spend money during the test will unlock an exclusive mount, just as Hearthstone beta testers earned a golden Mekkatorque card for spending cash.